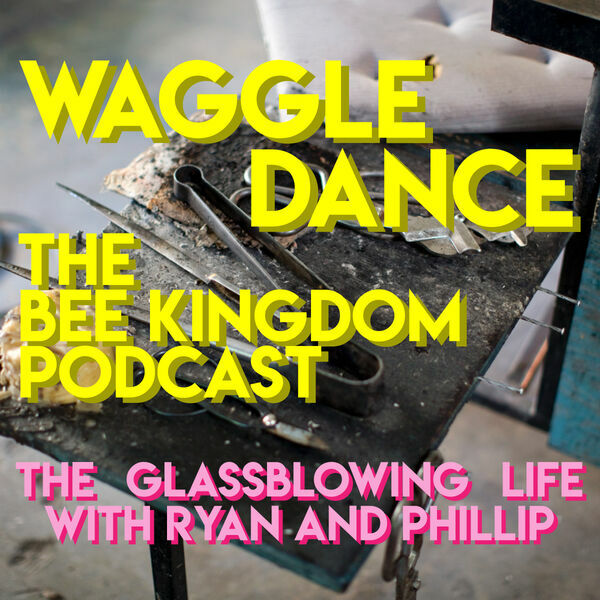 In this first episode of Waggle Dance, Canadian artists of Bee Kingdom Glass, Ryan and Phillip, share an overview of their glassblowing studio practice. Future episodes will focus on various aspects of their studio and share their experiences from starting out as naive art students to established Canadian glass artists. Inflatable Art: Blowing More Than Just Hot Glass! Jump Kickin' Yellow Shoes: The Art of Self-Promotion! Glassblowers, Phillip and Ryan, discuss their adventures and strategies in self-promotion and self-representation as full time working glass artists. Art College is Over, Hello Real World! Let's go to art school! All content © 2019 Waggle Dance from Bee Kingdom Glass.